This Is A Collection Of Recipes, Charts, Guides And Cooking Hints Hand Picked By Author Debbie Smith. 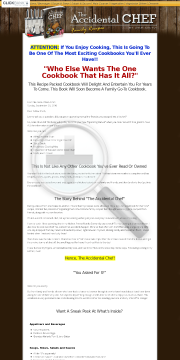 Not A Re-hash Of PLR Recipes That You Can Find All Over The Web! Professional And Attractive Sales Letter Page And Banners In Multiple Formats.